I don’t have a picture of all of us, nothing lately anyway. 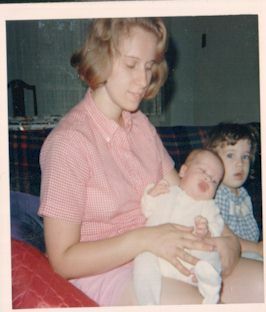 This photo is my Mom, brother and myself. A long time ago. Dad likely was taking the picture. This is the second birthday he’s missed. He died just before Father’s Day, last year. We never got along, so don’t feel all syrupy about this post. I just felt like doing it. Are you the one in the pink or the blue..